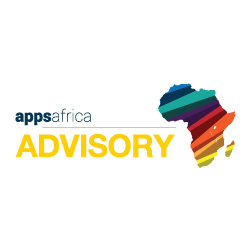 The Appsafrica.com Innovation Award applications will be assessed by our team of expert judges who are selected based on their knowledge, influence and contribution to the improvement of the technology and business in Africa. Ethel Cofie is Founder of Women in Tech Africa, initiator of the 1st Pan African woman in tech meet up and was shortlisted for the United Nations GEM -Tech Award for work supporting women in ICT. Ethel is also CEO and Founder of EDEL Technology Consulting and Mandela Fellow for President Obama’s Young African Leaders initiative (YALI). She is highly experienced with over 12 years’ experience working in the UK, Ghana, Nigeria and Sierra Leone and is also sits on the boards of companies across Africa. Chidi Okpala has enjoyed a distinguished career of over 20 years in Retail Financial Services and Strategy Consultancy. He is currently the Director & CEO for Airtel Money – Africa; overseeing Airtel Money businesses in 17 countries across Africa. Prior to joining Bharti Airtel International (Netherlands) B.V., he was the CEO of Retail Banking Business for UBA Group; managing Personal Banking in 19 countries. He earlier worked with Accenture as a Senior Strategy & Business Architecture Consultant. A commercially-minded media type with over two decades’ experience in researching, commissioning, writing, editing and publishing. Presently, Andrew is editor of African Review of Business and Technology and of Communications Africa/Afrique. He is a member of the Suomi/Africa network of journalists, which publishes stories at Suomi/Africa. Moreover, Andrew runs a website Infordiss.com , and a weblog at croftandrew.com. A business development professional who has over a decade experience in Finance, Private Equity and Venture Capital in Africa. His career started out with Ernst & Young Zimbabwe. He has also served as a senior member of the Africa operations team of German Stock Exchange Listed African Development Corporation for over 6 years before joining Millicom’s first Technology Accelerator in Africa, T(h)ink as its Investment Manager, where he has overall responsibility for their program. Mobile Monday South Africa is a community of mobile industry visionaries, developers and influential’s fostering cooperation and cross-border business development through virtual and live networking events to share ideas, best practices and trends from global markets. Mobile Monday South Africa manages the Joburg , Cape Town and Durban chapters of Mobile Monday. Adetunji Eleso – Director Incubation at Co-creation Hub Nigeria Adetunji Eleso leads Incubation and impact investing efforts at CcHUB (Nigeria’s first social innovation centre) with responsibility for providing early stage support & funding to social technology ventures. He is an experienced business advisory and support professional with keen interest in business innovation. Tunji aims to build an army of entrepreneurs who create solutions to some of Nigeria’s pressing social challenges. Evangeline Wiles is the MD of Kaymu Nigeria a leading online shopping community. Prior to Kaymu, Evangeline spent two years at Bain & Company, a management consulting firm. Based in Johannesburg, Evangeline worked on various strategy and performance improvement projects in several different industries. Prior to Bain, Evangeline spent four years investing in financial technology companies as a member of the private equity/venture capital group at Bank of America Merrill Lynch in New York. She holds an MBA from The Wharton School and an BA in economics and government from Dartmouth College. She is a Liberian and a US citizen. Rebecca Enonchong is founder and Chief Executive Officer of AppsTech, a leading global provider of enterprise application solutions. She recently cofounded I/O Spaces, a shared work space in the Washington DC area for diaspora entrepreneurs. She is Chair of ActivSpaces (African Center for Technology Innovation and Ventures). She also sits on the board of Venture Capital for Africa (VC4Africa), of Salesforce.com Foundation and the African Media Initiative. She is cofounder and board member of Cameroon Angels Network and African Business Angels Network. Ms. Enonchong currently serves as a mentor/advisor to several Africa based technology startup. Confirming one of the sponsorship opportunities for the Appsafrica.com Innovation Awards 2015 will position your brand as a leader in innovation and technology in Africa among leading industry peers from Africa and beyond. There are various sponsorship packages available, please contact us for more details on promoting your brand.